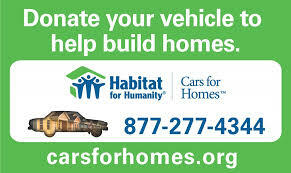 Habitat for Humanity of Greater Centre County collects, uses and stores information you provide when you communicate with us by email, web form submission, phone or fax. No information other than that provided by you is collected. Habitat for Humanity of Greater Centre County does not use web browser "cookies" to identify you as someone who has previously visited Habitat for Humanity of Greater Centre County web site. Habitat for Humanity of Greater Centre County will disclose all information of any type if we believe that Habitat for Humanity of Greater Centre County is required to do so by law, regulation or other government authority, or to prevent harm to yourself or others. Habitat for Humanity of Greater Centre County employs both procedural and technological measures, consistent with the demands of customer service, to protect your information. Such measures are, within reason, designed to protect all the information from loss, unauthorized access, disclosure, alteration or destruction.